Today's crafts with jars feature brings a little bling to the common mason jar. 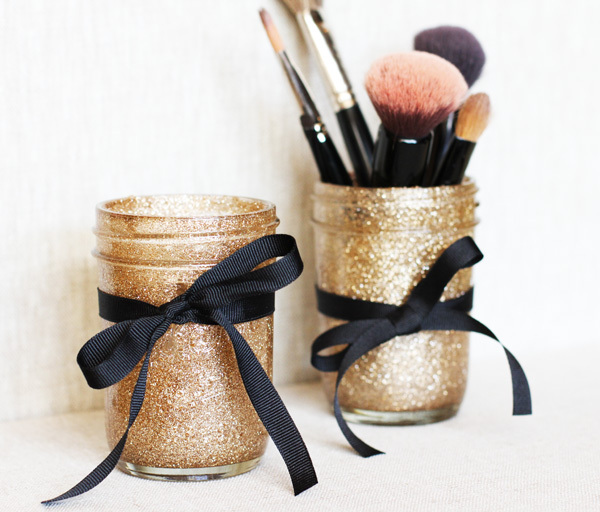 Lily Shop shows you how to make these great glitter mason jars easily. Use these to store items around your home or add them to the center of your table at your next party.